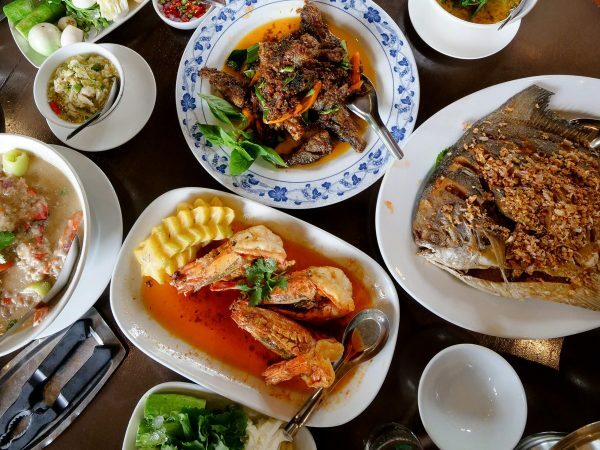 What delicious Thai food should you cook? There are plenty of wonderful dishes you could choose, but nam tok neua (น้ำตกเนื้อ), which in Thai translates to waterfall beef or beef waterfall, or grilled beef salad, is one of the most delicious options. Nam tok neua (น้ำตกเนื้อ) is very similar to Thai laab (ลาบ) – the minced meat Isaan salad – but instead of using minced meat, grilled steak is the main ingredient. 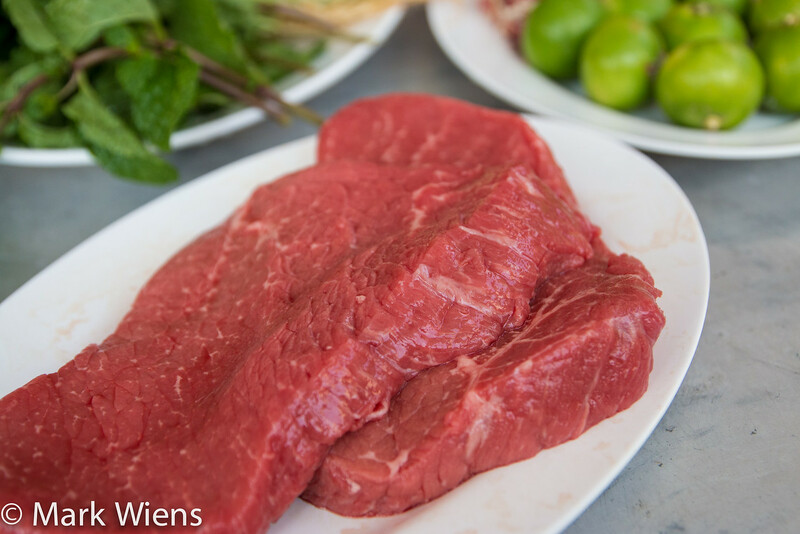 In this recipe we’re going to grill up some beef, slice it into thin pieces, mix it with lime juice, fish sauce, and chili flakes, and then of course, the best part: eat it! But first, why is it called waterfall beef? Nam tok (น้ำตก) is the Thai word for waterfall, and neau (เนื้อ) means beef. Together the literal translation is Thai waterfall beef, or beef waterfall. In reality, it’s just a name. Like a hot dog. But just like a hot dog, that were brought from Germany as dachshund sausages, and later called hot dogs in the United States, so there’s also a legend and story that some believe is behind the name of Thai waterfall beef salad. The beef in this recipe is first marinated and then it is grilled over hot charcoal. 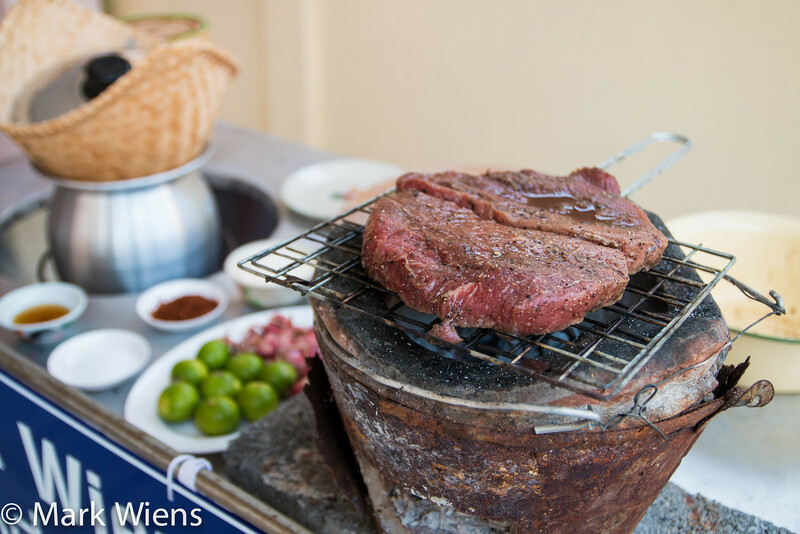 As the recipe and story goes, once the beef begins to hiss from the sizzling juices, the beef should then be removed from the grill, and it’s ready to be sliced and prepared into the salad. The waterfall sizzling sound is how you know the beef is cooked and ready to be eaten. Myth or fact, I’m not sure, but I think it’s a pretty cool explanation! Note #1: I marinated and grilled a total of about 500 grams (1/2 kg.) of beef, which was two decent sized steaks. BUT for actually making a plate of nam tok neua, I only used 1/2 of the beef, about 250 grams. This is mostly because I think it tastes better if you make a smaller batch at a time and eat it fresh. Feel free to modify this recipe as needed. 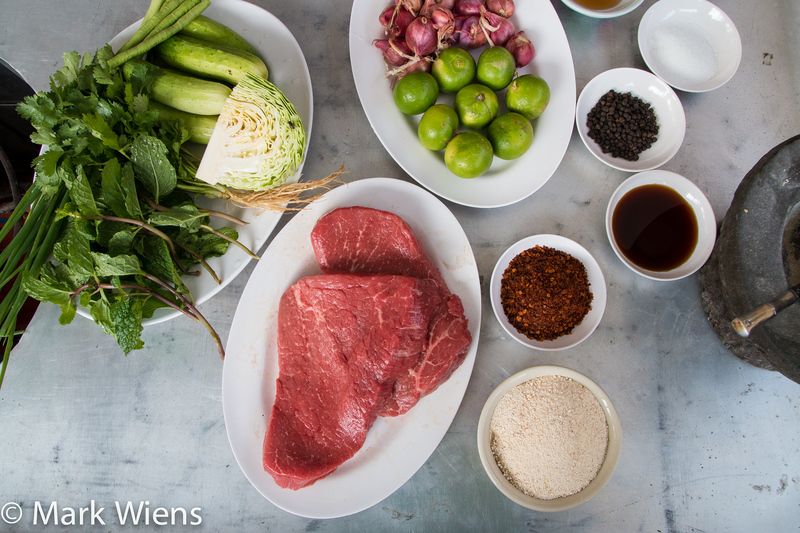 Note #2: Below, along with each of the photos, I’m going to go over how to make nam tok beef salad in quite a lot of detail. But if you’d like to get straight to the more basic recipe and steps, you can scroll down below to the recipe box – and don’t forget to watch the video too. For this nam tok recipe (วิธีทำ น้ำตกเนื้อ) you can really use any type of meat you want, but in Thailand you’ll most commonly find either beef or pork. I used beef tenderloin, which was a little on the tough side, but it did work well as after grilling the beef I cut it into thin strips against the grain. You could alternatively use a more fatty, or more tender cut of meat – really it’s up to you – whatever you pick, or whatever cut of meat you find at the market, it will be delicious. The first step is to marinate the meat, just in a simple combination of black pepper and soy sauce. 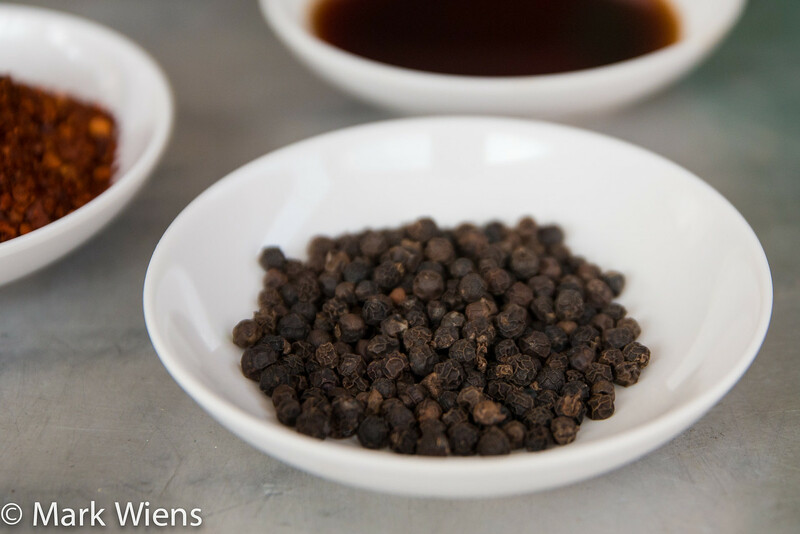 I used whole fresh peppercorns, as I love the pungent flavor of them, and then ground them quickly in a stone mortar, but really any kind of pepper will do. Just toss the beef in a mixing bowl along with the ground black pepper and the light soy sauce, and allow to marinate for about an hour. You could marinate the meat longer, but I don’t think it’s really all that necessary as most of the flavor in this Thai beef salad recipe comes from the dressing mixture after the beef is grilled. So actually if you’re really pressed for time, you could probably skip the hour of marinating, just add the marinade ingredients and grill it immediately – because again, most of the flavor comes from the dressing of the beef salad that we’ll come to later. 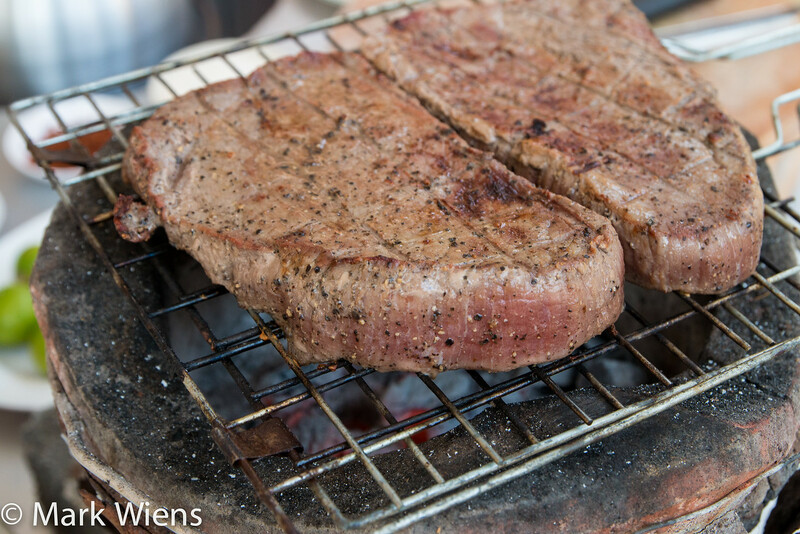 While the beef is marinating, it’s a good idea to light up your charcoal grill. A gas grill would work fine as well. Can you hear the waterfall sizzle? It’s all going to depend on how thick your beef is, or if you like it rare or medium, but I grilled my beef for about 8 minutes on either side. You’re looking to grill your beef to about medium rare or medium, depending on your preference. When I made this recipe and cooked the beef, I think I cooked it for a few minutes too long – but that’s alright. And of course, just to go along with the waterfall beef salad legend, make sure you can hear that hissing of the meat, and that’s when you know your beef is ready to take off the grill. My beef was a little on the lean side, so it didn’t hiss as much as it would have had I been using ribeye’s or something more fatty – but I still heard a waterfall. 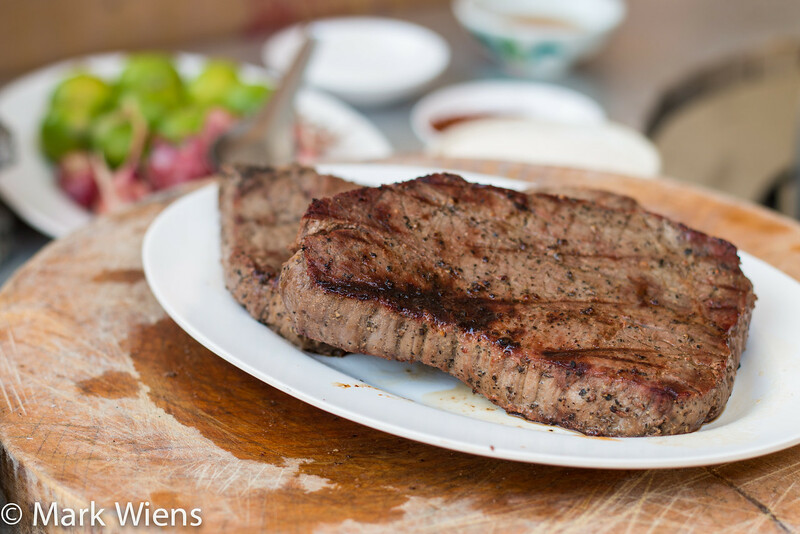 Once your beef is finished grilling, make sure you rest it for about 5 minutes before slicing it and proceeding with this nam tok recipe. I made a mistake and began resting my steaks on my chopping board and I unfortunately lost a little of the juice that came out of it. So it would be best to rest your meat on a plate so you can collect all the juices to add to the salad. After the meat is cooled, slice it against the grain into bite sized strips, and you can then add it to a mixing bowl. Once you have all the meat sliced, basically just add in the rest of the salad ingredients, mix everything, and it’s ready to be eaten. 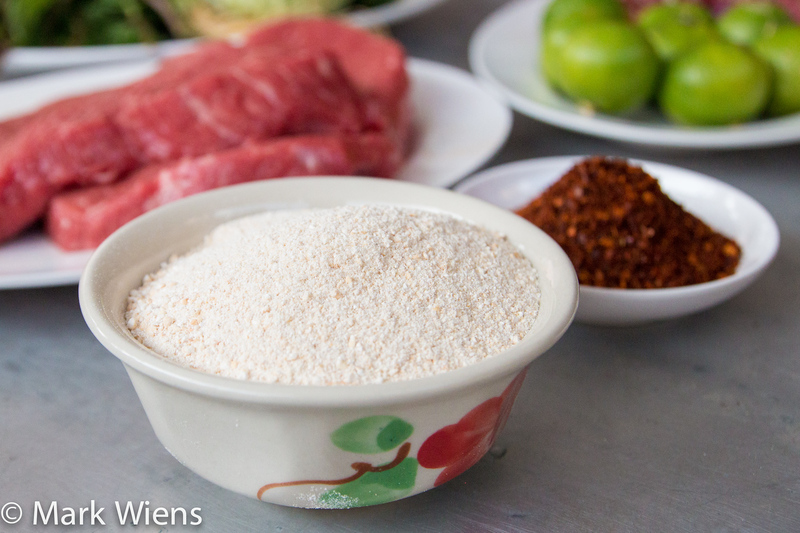 Just like in Thai laab salad (ลาบ) and a number of other Isaan dishes, khao khua (ข้าวคั่ว), toasted sticky rice powder, is extremely important in this Thai waterfall salad recipe. The khao khua (ข้าวคั่ว) gives the dressing and the meat a wonderful fragrant smoky flavor, as well as a fresh crunch, almost like un-popped popcorn kernels, only smaller bits, and much easier to chew. It doesn’t take long to make khao khua (ข้าวคั่ว) and it’s worth making it fresh if you have the time. 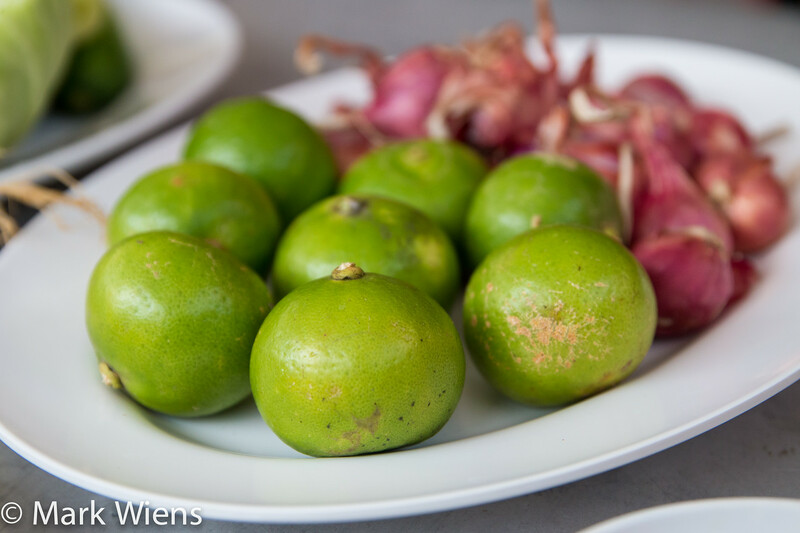 Lime juice for sourness, paired with fish sauce for saltiness, is the main dressing combination for this Thai waterfall salad recipe. Just like all Thai dishes, make sure you do some taste-testing as you mix everything together. You want the beef to be sour, just salty enough, and spicy to your liking. 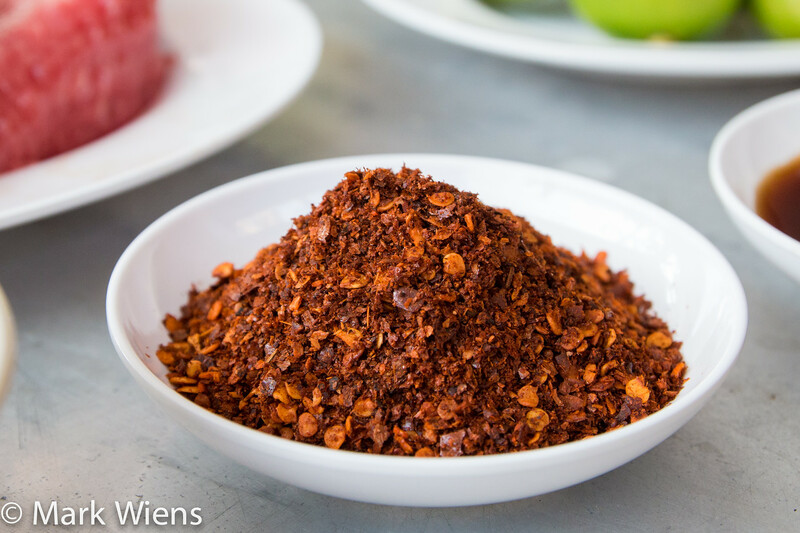 Prik bon, or dry chili flakes, are another essential ingredient in many Thai salads, and you wouldn’t want to skip it in this nam tok recipe. 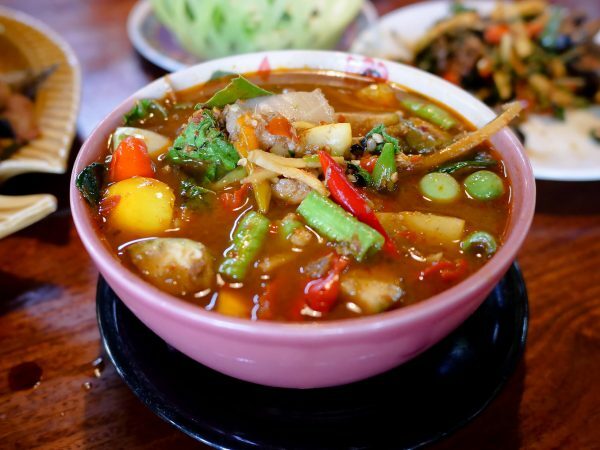 You can add as much as you like, but nam tok should be a little bit spicy to give it a nice balanced flavor. I like to use whole Thai dried chilies, quickly dry roast them in a hot pan for a few seconds so they crisp up and then blend them. That way you have the best tasting and fragrant dry chili flakes. 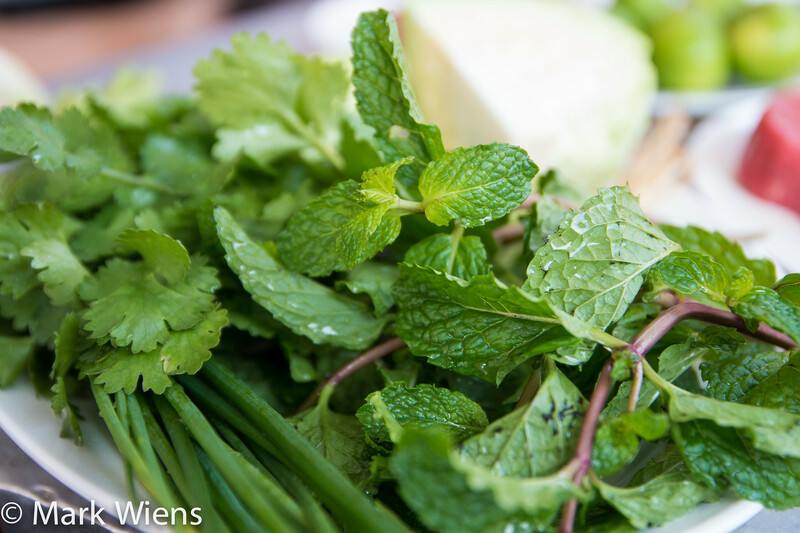 Finally, sliced shallots, cilantro, green onions, and fresh mint leaves, give nam tok neua a wonderful herbal and refreshing touch. I added a pretty good sized handful of mint leaves within the salad and I also saved some to sprinkle on top for extra decoration. 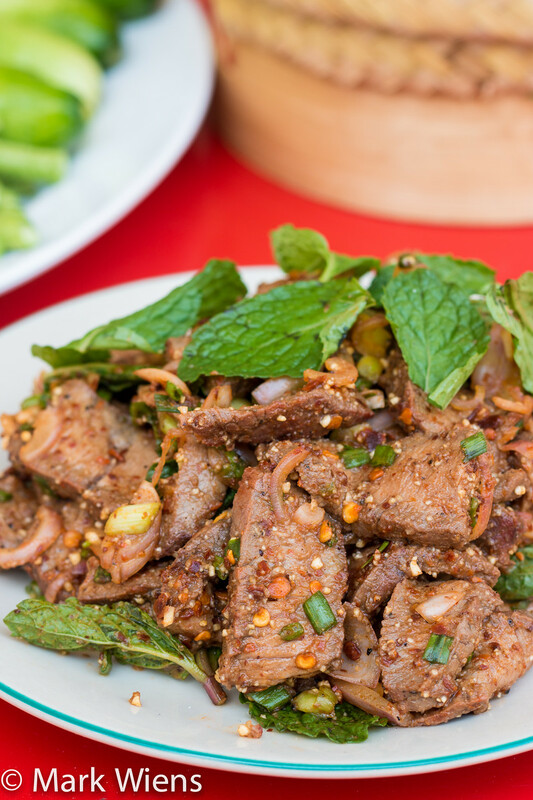 After you mix all the ingredients together with the sliced beef, and the flavor is nicely balanced, you can dish the Thai beef salad onto a plate. On the streets of Thailand, sometimes when you order nam tok neau (น้ำตกเนื้อ) it will come more dry, like the version I made here, or sometimes it will come more juicy with excess dressing. I’m quite sure that if it comes more juicy, they usually add a few spoons of soup stock to the salad, otherwise the lime juice and fish sauce gets soaked up by the beef and the sticky rice powder. If there’s any extra juice from the grilled beef, you can add some of that when you’re mixing the salad, or you can just add in a spoon of water. I personally like it kind of dry (it’s still very moist and juicy, but not dripping with extra dressing). Ok, both ways are delicious. This nam tok recipe (วิธีทำ น้ำตกเนื้อ) is really quite easy to make, just grill the beef, slice it, and mix it with all the dressing ingredients, and you’re done. For all the details on how to make this spicy beef salad, watch the video below. Time: This recipe should take about 2 hours to make, but an hour or longer will be just for marinating the meat, which is optional. Recipe size: You can really grill up as much beef as you would like, but then the salad recipe is just for 250 grams of meat, so just adjust all ingredients as needed. Eat it with: Sticky rice, green papaya salad, and a mix of other Isaan dishes. But I also love to eat it just plain with steamed rice as well. 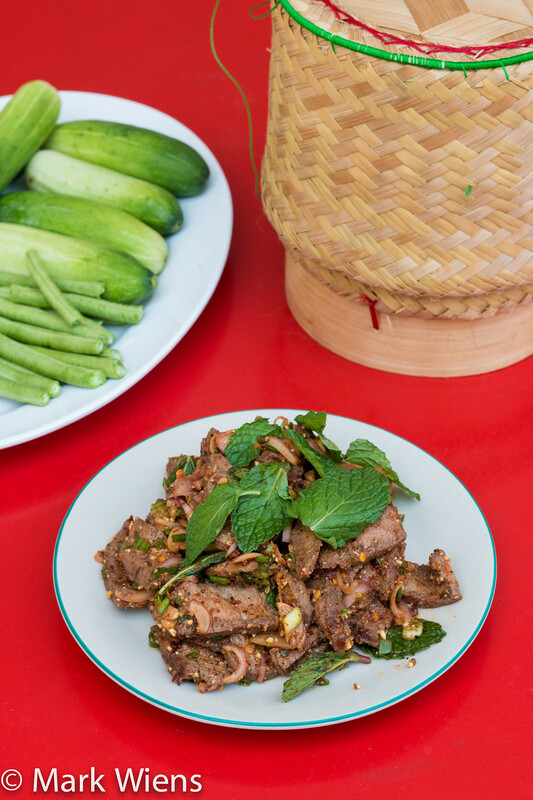 Thai nam tok neau (น้ำตกเนื้อ), with translates to beef waterfall salad, is a popular Thai dish of grilled meat (in this case beef), sliced into bite sized pieces, and dressed in fish sauce, lime juice, chili flakes, and lots of herbs. Nam tok (น้ำตก) is an Isaan (northeastern Thai) dish, and is typically eaten with a spread of other dishes and accompanied by sticky rice. Watch the full video of the recipe here. Take the beef, or any type of meat you're using, and marinate it in the ground black pepper and soy sauce for about 1 hour. Grill the beef on high heat for around 8 minutes on each side (depending on how thick it is), until the meat is medium rare or medium. 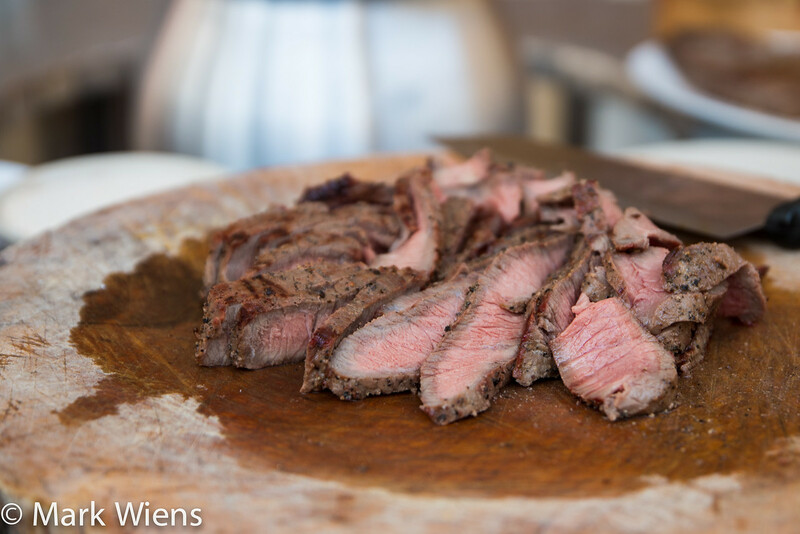 Once the beef is finished, set it on a plate to rest for about 5 - 10 minutes, collecting all the meat juice. Slice the beef against the grain into thin bite sized strips. Note: I marinated and grilled 500 grams of beef, but for this proceeding salad recipe, I only used 250 grams of the cooked beef. Peel the shallots and finely slice them, dice the green onions, and pluck a handful of mint leaves. In a mixing bowl, add 250 grams of the grilled sliced beef, and add the khao khua, fish sauce, sugar, chili flakes, lime juice, shallots, green onions, and mint leaves. Doesn't matter which order, just toss everything together. Mix all the ingredients fully, and then taste test. The meat should be sour, salty and spicy to taste, with a freshness from the herbs. Add more lime juice or fish sauce as needed. Nam tok neua (น้ำตกเนื้อ) is a delicious Thai dish and wonderful and flavorful way to eat beef steak or pork. This recipe is pretty easy to make, just marinate and grill the beef, slice it, and mix it with the dressing ingredients. This dish is often eaten with sticky rice in Thailand. Enjoy! 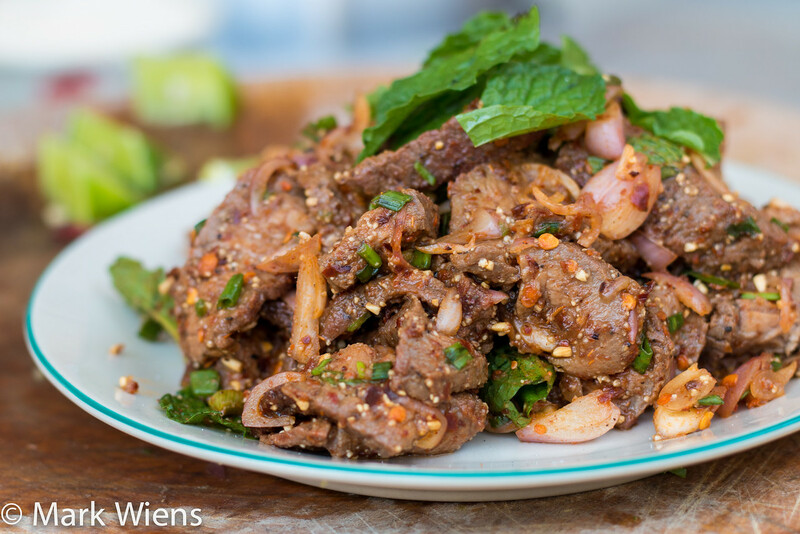 Nam tok neua (น้ำตกเนื้อ), or Thai waterfall beef salad, is a popular Thai Isaan dish of grilled beef, sliced into bite sized pieces, and dressed in fish sauce, lime juice, chili flakes, and herbs. The flavor and ingredient mixture is very similar to Thai laab minced meat salad (ลาบ), but instead of using minced meat, you use grilled meat, which gives nam tok an extra dimension of smoky grilled flavor – it’s like bite sized strips of steak, dripping with Thai dressing. In Thailand, nam tok salad (น้ำตกเนื้อ) is typically made with either beef and pork, and both versions are delicious, especially when eaten with fresh sticky rice. 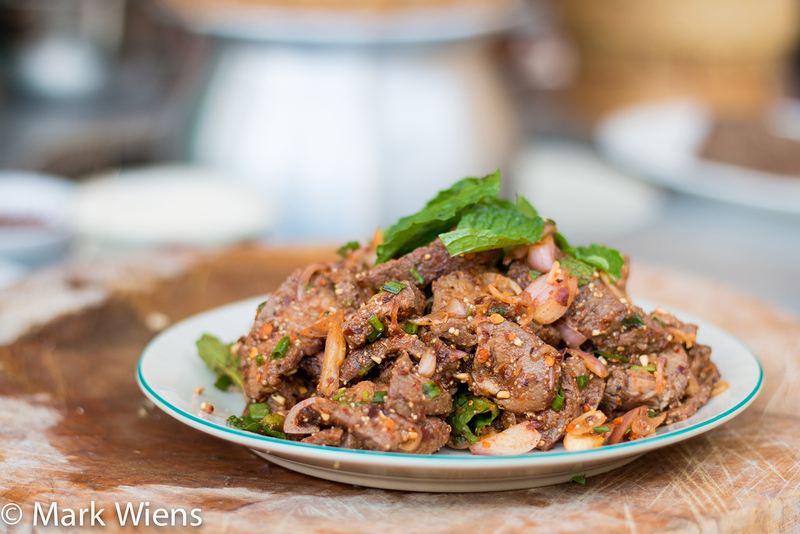 For a delicious Thai beef salad, I hope you can try this nam tok recipe (วิธีทำ น้ำตกเนื้อ). Please let me know if you make this recipe, or if you plan to try it out, I’d love to hear from you. Leave a comment below! 32 comments. I'd love to hear from you! Just made this for the first time. Used jasmine rice for the khao khua and chopped chives for the green onion stem. Being in Italy, not all ingredients are available. I will say that the result was delicious! My wife has lived in Thailand and eaten this dish from restaurants in Auckland and recently in Florida. My first attempt was better than what she has had outside of Thailand. I put it down to your excellent recipe and some good quality beef! Excellent recipe, well explained. It looks like the Cilantro was never included in the final blending. Amazing! Made twice. Thank you so much for the recipe ! Charcoal grilled, perfect. Former Isaanian Thai Chef sous, Thai Speaker. Hey Mark, this is my favorite Thai dish! 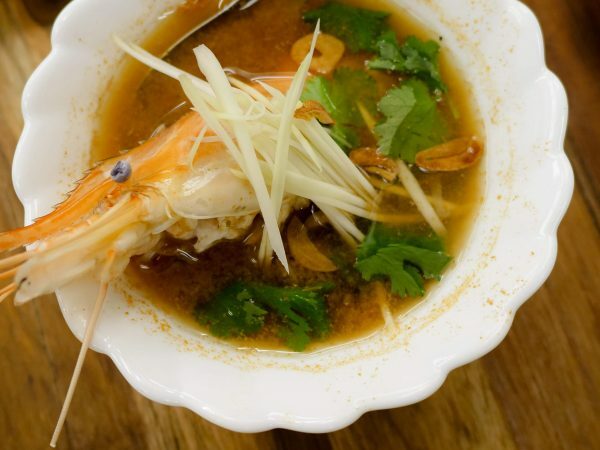 One quick question, can you recommend a fish sauce? My nephews wife is Thai and has made us waterfall pork, which we love. I found your recipe using beef and made it for myself and my husband. My husband smelt it as he came into the kitchen and knew immediately what I was making. It was very easy and tasted delicious, definitely will be making again. I made this over the weekend , perfectly authenic , loved it. Will definitely make it again….soon. 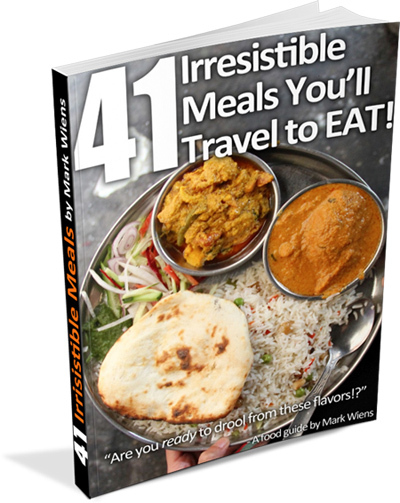 Hey Mark, I had some very close Thai friends from years gone by they showed me how to cook many Thai dishes but a lot was in my head so much had floated away, lol I have try many receipts on the internet and they were not just the same until I tried yours. Thank you, many times over for giving me back those wonderful favors. I can now again cook for friends and be proud..
Hi Mark, I’ve been meaning to prep this dish for some time and today I finally got around to it. I just made it for my hubby as a special birthday lunch (this is one of his Thai favorites, along with laab and gai krapao). I used to know the recipe from a friend who is a Thai chef . He prepped it once for my family and gave us the recipe but I just couldn’t find it right now! Actually the dish is quite simple but I wanted to double check that I remembered it right and had all the ingredients… and google got me to your site :) so thank you for sharing this and I am going to come back for more Thai food ideas and recipes! Mark, I just found your site and I love it. Your expression of delight when eating the Nam Tok convinced me that I have to try the recipe. How many chefs look that happy after they’ve tasted their creations? None. If you look that happy after eating your Nam Tok for many the thousandth time, it’s got to me good. I’m making Nam Tok for guests tonight. It will be a big hit! I’ve rated it 4 stars in advance. It may rise to 5 when I’ve actually tasted it! thanks for your recipe and my respect for your passionate work on thai cuisine. just prepared a nüa nam tok according to the good recipe above only with cold noodles and fresh red chiles. tastes good. Normally we order this for take away. Now we can make this at home. Taste the same. You’re welcome Janey, thank you for reading this recipe. Hey Mark, thank you thank you This recipe is soo amazing. Easy to make but the complexity in tastes is beautiful . I love it!!! 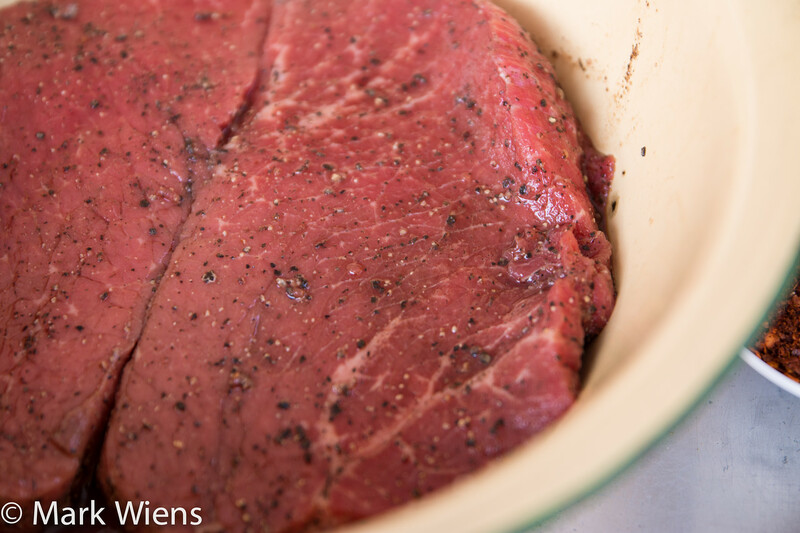 One more question…I used light soy sauce to marinate the beef, and my beef turned out really really salty. The light soy sauce is saltier (at least here in the US). Anyone else have this issue? Hi Michelle, thanks for sharing. It could all depend on the brand of soy sauce and how light the soy sauce was. Sorry about that. You could also just try lightly salting the beef, mostly the seasoning is to just bring out the flavor of the meat, and then the main flavor comes from the salad dressing. I can’t wait to try this recipe – I’ll be making it tomorrow. I noticed that in the directions, in mentioned finely chopping the cilantro, but cilantro isn’t in the ingredients list. Is this something you typically add to this dish? Hey Michelle, thank you very much, hope you enjoy it! Sorry about that, looks like I forgot to include it in the ingredients, thanks for letting me know. I will add it immediately. It depends on the vendor, some will include cilantro, others won’t, so it’s personal preference. But I like it with cilantro. Thanks again and enjoy! Just for your information, after you cut the end from the green onion, stand the end upright in a small container with some water. Do not cover the end completely. Make sure that the water is kept at the same level. After a few days the onion will start to grow. When large enough – 7.5-10 cm/ 3-4 inches long, it can be transplanted into soil. Never have to buy spring onions again. Hey David, thank you for the tip on the green onions. As soon as I get my own house, and have a little extra yard space, I ‘m going to try it out, thanks! To begin, very little space is required. There are a few other veggies that can be raised this way. I live in Bangkok many moths of the year and my Thai friends like these saving ideas. Mark, You cannot publish enough of every kind of Thai salads. Summer is comimg and they will all be part of many get togethers with friends. I made this also as a pork and turkey breast version. For me its the mint that makes it. Hi Manfred, thank you very much, glad you love this as well – and it goes so well with just about any type of meat. I agree, that mint is essential. Really enjoy your recipe posts. I’ve made something very similar to this several times, but without the khao khua .. I am interested to try again and include it. Thank you Steve. Yah, it would be good without the khao khua as well, but I really like khao khua because it gives a little crunch to the meat, and a more roasted flavor. Let me know if you try it out.